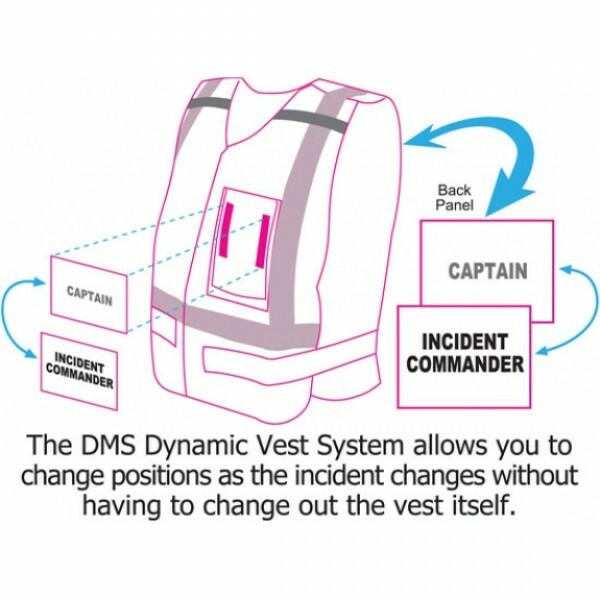 The DMS HICS 2014 Hospital Incident Command 26 Position Vest Kit™ supports a monumental effort by the HICS National Working Group, the National Integration Center, and the Emergency Management Institute in providing medical facilities nationwide with a truly flexible command structure that meets the requirements of the national response plan. Now includes the "Patient Family Assistance Branch Director" position. All Disaster Management Systems' HICS Kits are the only kits that ship ready to deploy as soon as you receive them. 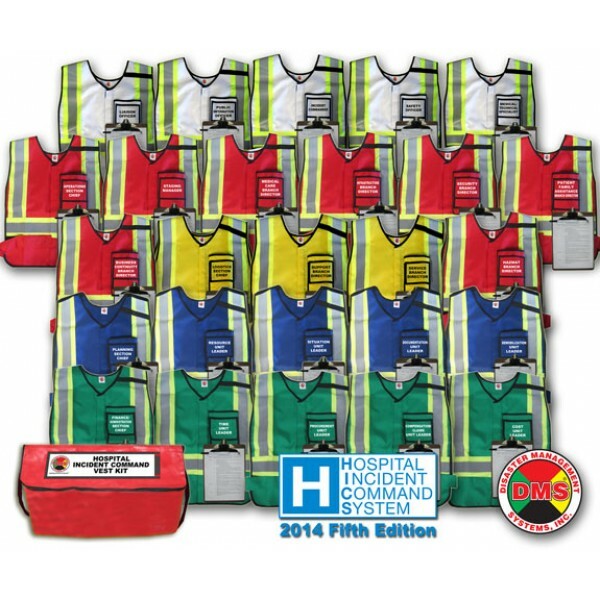 Not just a bag of vests, every position vest is shipped with position responsibility sheets on clipboards with pens and ready to roll.